The Rosa Cruise proudly offers the new premier cruise experiences in Halong Bay which combines the most modern and greatest comfort. Wishing to provide customers the best culinary and premium cruis...	see more	The Rosa Cruise proudly offers the new premier cruise experiences in Halong Bay which combines the most modern and greatest comfort. Wishing to provide customers the best culinary and premium cruise experiences. 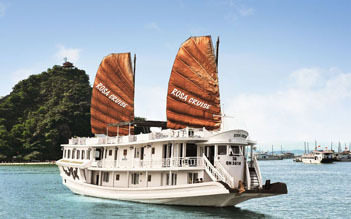 With Rosa Cruise 3 days/ 2 nights tour, you will have an unforgettable holiday on Halong Bay. Interesting itinerary, delicious Vietnamese seafood, BBQ dinner, magnificent beauty in the bay are wait...	see more	With Rosa Cruise 3 days/ 2 nights tour, you will have an unforgettable holiday on Halong Bay. 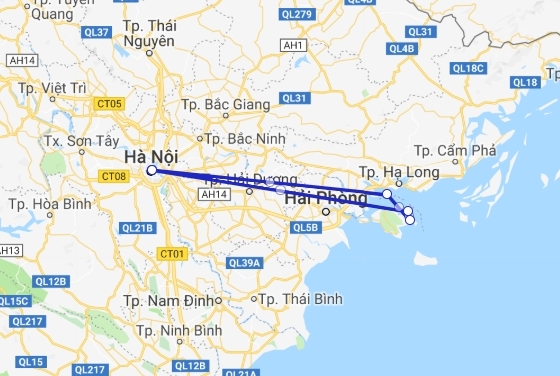 Interesting itinerary, delicious Vietnamese seafood, BBQ dinner, magnificent beauty in the bay are waiting for your exploration. 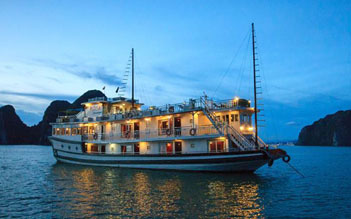 As one of the pioneers Halong Bay Cruises, Rosa Cruise ensures to bring guests the most unforgettable time in Halong Bay. The cruise was first launched in Jan 2016 and is a traditional Vietnamese wooden junk. As a three-star yacht, all cabins offer large windows to see the Lan Ha Bay view and excellent amenities including air-conditioning, wardrobe, hairdryer, en-suite bathroom, safety box, life jacket and fire extinguisher. The SeaShell restaurant serves American breakfast and European cuisine. Travelling with Rosa Cruise, you can participate in exciting activities such as fishing, diving, and snorkelling.